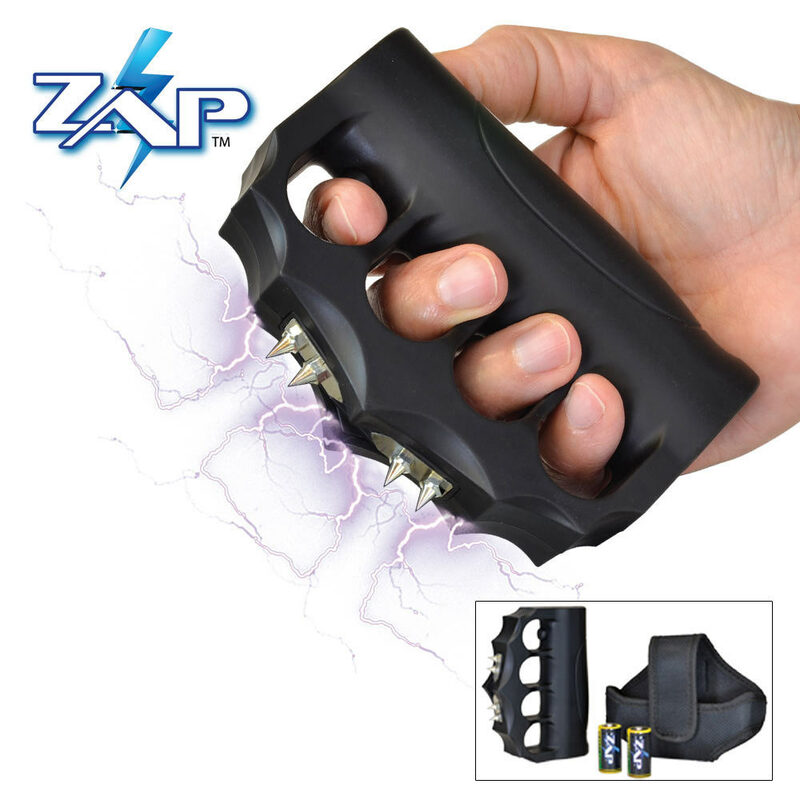 ZAP Extreme Blast Knuckles 950,000 Volt Stun Gun | BUDK.com - Knives & Swords At The Lowest Prices! You can be confident in knowing you have power in your palm with the ZAP Extreme Blast Knuckles Stun Gun. These Blast Knuckles offer 950, 000 shocking volts of electricity that will bring an assailant to his knees. The four patented ultra-sharp spike electrodes can penetrate clothing to effectively deter attackers. Perfect for joggers, walkers, night shift workers, etc. Stay safe with ZAP!